pilot Charles A. Lindbergh, who helped turn New Mexico into a regional center for aviation and rocketry during the interwar years; physicist J. Robert Oppenheimer, who believed that New Mexico had restored him to health in the 1920s, and, as a consequence, chose Los Alamos as the site for the nation's top secret weapons laboratory in 1942; and first-term congressman Bill Richardson (currently governor), who inaugurated his skills at compromise by resolving a bitter environmental dispute in 1984--skills that he would later utilize on the international stage. Other essays explore the cultural appeal of the Land of Enchantment from 1945 to the present, as well as the horrific ammunition explosion that virtually wiped the hamlet of Tolar, New Mexico, off the map in 1944. A final section deals with several southwestern "mysteries," including the tale of an itinerant German immigrant who, in 1895, allegedly healed more than 5,000 people simply by touching them; and the collapse of Chaco Canyon's Threatening Rock--a 30,000-ton wall of sandstone that had threatened to destroy the structures of Pueblo Bonito for over two millennia. 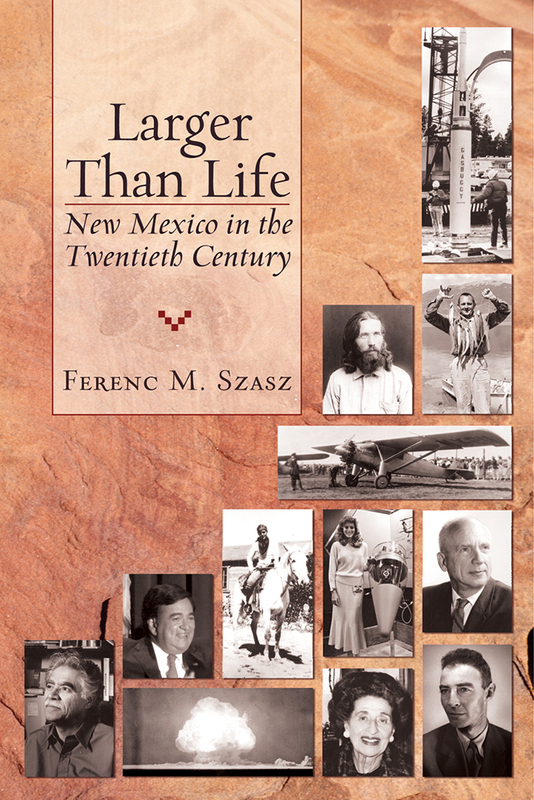 Ferenc M. Szasz is professor of U.S. intellectual history and U.S. history of religion, University of New Mexico, Albuquerque. He is the author or editor of several books on New Mexico history.